As the emerald lights glistened off his shorn locks, the man best known for wearing a mask was clearly enjoying every moment of this sold out show and his smiling face was the dead give away. 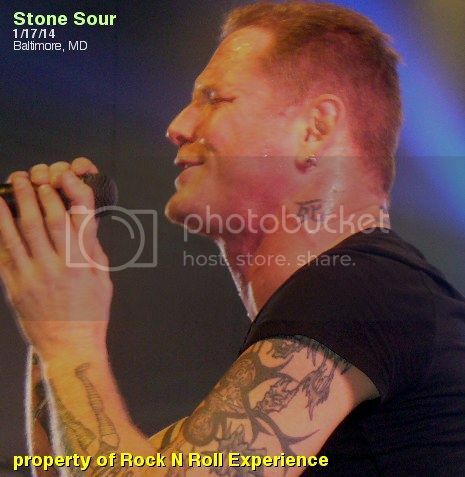 Corey Taylor was the singer for Stone Sour long before he was the masked #8 in Slipknot yet most fans had no clue who Stone Sour were until Slipknot took a break and Taylor revived Stone Sour with Slipknot band mate Jim Root. Stolen Babies opened this show at 8 PM sharp and their set was an odd mix of gothika meets hard rock. The live guitars anchored the hard rock side while the bands quirky front woman added the weirdness to their set. Most of the crowd didn’t know what to make of the bands set which is exactly what the band had to expect when they accepted a spot on this bill. Added to the end of their set was an interlude of “Cult of Personality” by Living Colour which was an actual surprise considering what the band did onstage. 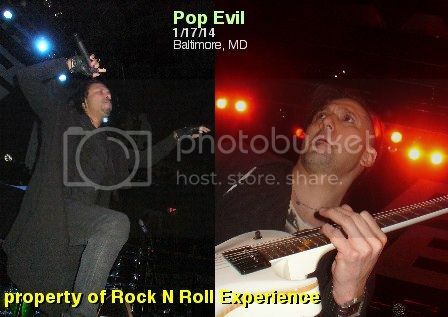 After a brief 30 minute set from Stolen Babies roadies cleared the front of the stage so Pop Evil could do their thing. I will tell you first hand, Pop Evil had a very tiny portion of the stage and the bands drum kit was almost right up front. They had no riser, no frills, limited lights, limited sound and limited EVERYTHING! 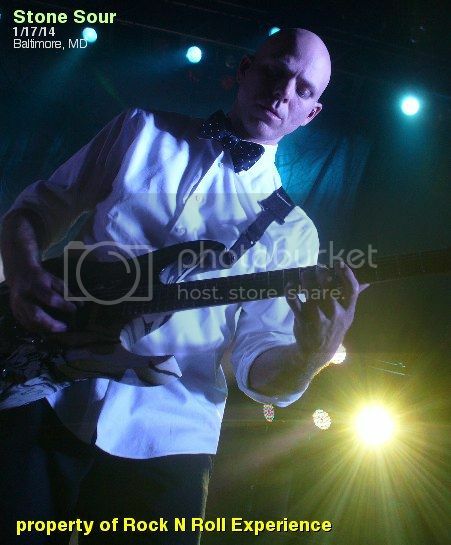 Stone Sour had a large amount of lights, a large drum riser & production which anchored the back of the stage and created a situation where despite having a large stage the openers were limited to a tiny walk way on which to perform. Pop Evil used “Kickstart My Heart” by Motley Crue as their into & it was odd to see them play the ENTIRE song as their intro because most bands would play a 30 second intro & then come out rockin’.....hearing all of “Kickstart My Heart” while the house lights were totally out confused the crowd just a little & took from the excitement of the band taking the stage shortly after house lights went down. 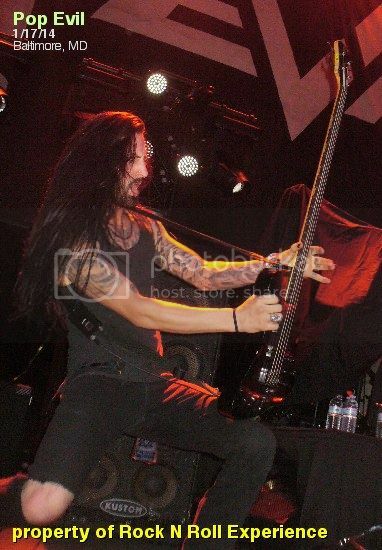 Once Pop Evil took the stage they did bring the energy and the crowd definitely loved the bands set. Pop Evil have improved over time and their set this night was nothing but heavy numbers which made sense although it did surprise me considering “Monster” & “100 in a 55” are two of the bands biggest hits yet were not played! “Deal With The Devil” is the bands current single & what I give the band credit for is that they’ve found “who” they are finally because there were a few years where the band didn’t quite have an identity and they were all over the place. 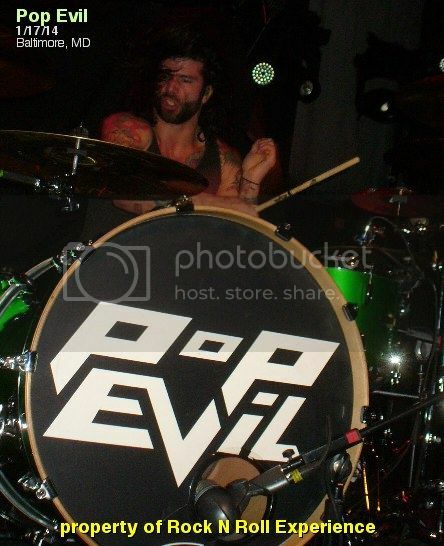 At this point they are gelling quite nicely and this was the best set I’ve ever seen Pop Evil perform as a band. Stone Sour took the stage at 10 PM sharp & they played a solid 90+ minute set which covered all the bases quite well; there was a decent mix of their “hits” alongside tracks off their latest record. Taylor clearly absorbed the crowds energy and the band was definitely on fire this night although it did seem odd without Jim Root onstage. 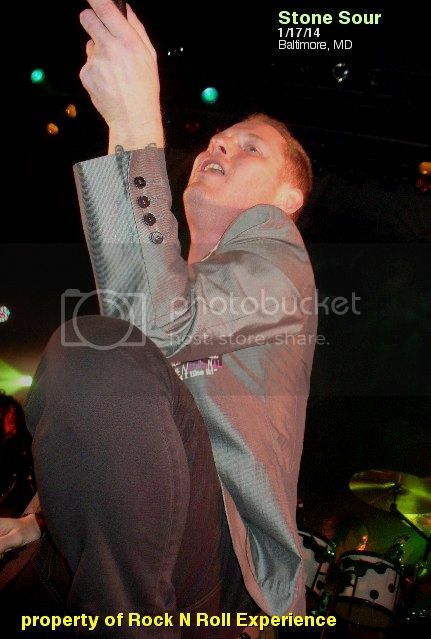 When Corey came out to perform “Bother” solo he started the song with a partial cover of “Nut Shell” by Alice in Chains which sounded amazing. The nights last song was a surprise cover which the band said they’d never played live before and that surprise cover was “Headed Out On The Highway” by Judas Priest. To be fair it was a cover and they did their best to replicate the original BUT Taylor can’t hold a candle to Rob Halford’s vocals. I felt like Stone Sour did a good job at the Priest cover because they did it in their own style and while they played it similar to the original NO ONE can sound just like Judas Priest other than Judas Priest! Click here to “Like” Rock N Roll Experience on Facebook & to see live vids & pics from this show!